This isn't about books, but that doesn't mean it isn't awesome. 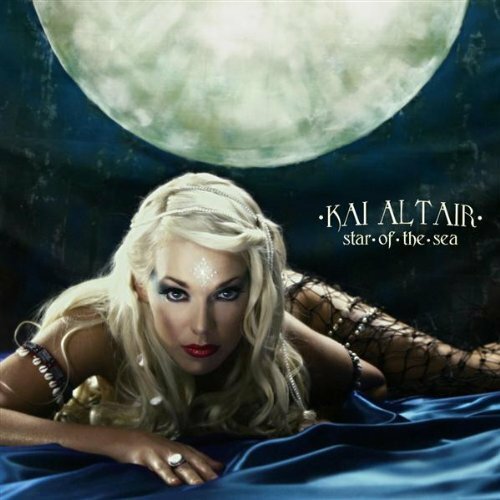 One of my favorite singers ever is Kai Altair and now I have an opportunity to give away a signed copy of her amazing EP, Star of the Sea ! Her music is actually what I listen to sometimes when I read; it's great for fantasy and paranormal novels, because it has the awesome mystical element. Often seen bellydancing barefoot on stage backed by electronics, guitars, and tribal hand-drums, Kai Altair mesmerizes with an ethereal voice and captivating lyrics. Influenced by ancient and modern dance culture, myth, and storytelling, Kai is classically trained, with an ear for blending synths, tribal rhythms, and futuristic beats. Her heartfelt, mysterious songs lead us happily into temptation, while exuding the strength of femininity. Here's her Official Website for more information. My favorite song of hers, called "Shine." The music video for Kai's song "Here She Comes." Kai performing her song "Howl" live. If you're interested in possibly winning a signed copy of this CD, you can enter below! This giveaway is International and ends July 23rd. This is just for extra entries, and is NOT mandatory to enter.